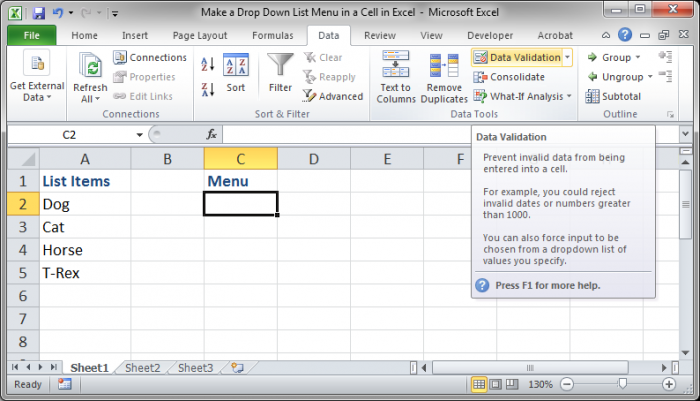 In your Excel workbook, select the cells that you want to apply the drop down menu to. 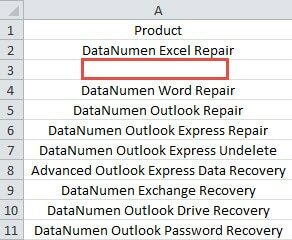 Click on the Data Validation menu (in the Data tab in the Excel Ribbon), or use the shortcut Alt-A-V-V . In the �Allow:� dropdown menu, select �List�.